Last time we covered an apologetic of the Roman Catholic Church, revealing by Scripture that their practices and doctrines are unbiblical. We continue now with a review of the Roman Catholic Church in light of its current course in our present time, and where it’s leading in the prophetic future. We will also cover a little of the history of this religious institution, some of its beliefs and practices and how this religion relates to other religions as a leading force in our world today (ecumenism) and what the Emergent Church Movement has to do with it. “Know that [it is in] the interests of the Holy See . . . to exterminate the Hussites. Remember that these impious persons dare to proclaim principles of equality; they maintain that all Christians are brothers and that God has not given to privileged men the right of ruling the nations; they hold that Christ came on earth to abolish slavery; they call the people to liberty, that is to the annihilation of kings and priests. While there is still time then, turn your forces against Bohemia; burn, massacre, make deserts everywhere, for nothing could be more agreeable to God or more useful to the cause of kings than the extermination of the Hussites”. The Hussites and other independent Christian groups that believed the Bible and faith in Christ alone, like the Albigenses and the Anabaptists – all of these, numbering in the hundreds of thousands were brutally tortured in Inquisition and killed by order of Popes and the Holy Roman Catholic Church. In this Palace resides a Book of records, which historically documents which forms of torture were most and least effective: which sorts enabled the prisoner to endure the most pain and survive it. The keeper of this Book is usually a Cardinal appointed to the position of Grand Inquisitor who reports directly to the Pope. Typically if the Grand Inquisitor is elected as the new Pope, he leaves this Office and the book to the next Grand Inquisitor. During the time of John Paul II, the Grand Inquisitor was the arch-bishop of Munich, Joseph Cardinal Ratzinger or as we know him today, Pope Benedict XVI – what’s interesting is that he according to some reports did not relinquish the Book of Inquisition (Records) to the next Grand Inquisitor, but is still in possession of it – and one must wonder, why? Where in Scripture does it state that the church of the LORD JESUS CHRIST should take possession of political power and subjugate nations under her will? Where does this religious Institution find justification in obtaining and securing enormous wealth in the Name of Christ Who owned nothing but the clothes on His back? Did you know that in the Dark Ages, the Roman Catholic Church sought out all copies of the Scriptures that were translated in the native tongues of dozens of countries in order to destroy them, so that people could not read the Bible in their own language? The only language that the Church of Rome allowed was Latin. Because of the fact that only Catholic clergy could read Latin, this made it impossible for people to study the Scriptures for themselves and understand that salvation is by faith alone, as well as understand that the Roman Church had no biblical basis for its authority and stranglehold over the populace. In 500 AD there were nearly 500 languages in which the Bible was duplicated. After only one century, the Roman Church managed to destroy enough Bibles so that the only language it was written in was Latin! Once the Reformation began and the printing press was invented, copies of Scriptures not based on the Catholic texts were duplicated and people once again began reading the Bible in their own language. Once they discovered that the Roman Church and all of its sacraments and traditions were not necessary for salvation, people began to leave that church by the droves. The Roman Catholic Church supported all governments no matter how oppressive they were so long as those governments pledged allegiance to Rome; such was the case with Mussolini and Hitler as has been documented in Rome’s own archives – the Concordant of 1929 with Mussolini and the Concordant of 1933 with Hitler. How is it that Rome, which again, claims to be the one true church, finds itself wielding such political power over the nations, even in today’s world, but in much more subtle ways? How could this union of government and religion be justified? The practice of forming a union between political power and religious power was realized very early in human history at the Tower of Babel. One city and one tower; here we have a union of government in the establishment of a city, and also of religion in this iconic tower that would reach to heaven, that is, a “gateway”, or a means of achieving heavenly status of some kind. This was “Babel” (“gateway or way to God”), and Nimrod was the absolute ruler who defied the living God Who commanded that the people should go forth and replenish the earth (Gen. 9:1); instead they built a city and consolidated “so that we would not be scattered abroad upon the face of the earth” (Gen. 11:4). Nimrod chose for his queen a woman that was a prostitute, Semiramis; but he created the legend that she was really a virgin goddess that arose from the sea and was betrothed to him. They ruled together not just as King and Queen, but as gods to the people and priests in their religion. As they ruled the world politically (mostly the domain of Nimrod) and religiously (mostly the domain of Semiramis) it wasn’t long before they realized that religious authority was more powerful than political and thus was able to lead the way in controlling people. Eventually Semiramis gained such power that Nimrod was intent on killing her, but as she became aware of this, she had him assassinated instead, but not before she became pregnant with Nimrod’s child, Tammuz – which she claimed was virgin born and an incarnation of Nimrod. Here we have the ancient Babylonian trinity of Father, Virgin Mother and Divine Child. As Semiramis gained more power, Tammuz came to possess even more, and his mother plotted to assassinate her son just as she had her own husband, but like mother, Tammuz discovered this secret and killed her instead. Tammuz promoted the iconic representation of the Virgin Mother and Divine Child pairing of gods. God Almighty, YHWH scattered the people of Babel by confusing their languages, they took with them into every culture in every nation that they founded this legend of the Mother and Child gods. For information on this and everything else that involves what’s known as the New World Order, may I recommend a series by The FUEL PROJECT called Know Your Enemy – available on dvd or seen in full on youtube; here is the four minute introduction (11 hrs worth of material!). Even though the Babylonian Empire eventually deteriorated and finally conquered by the Persians, the ‘Mystery Religion’ that was created there survived and simply transferred to the Persian Empire (with some modifications by that culture) and later when the Greeks conquered the Persian Empire, and then the Romans conquered the Greeks, each Empire received the schools of the “Mystery Religion”. But remember, long before the Babylonian Empire, these ‘Mysteries’ were being spread all over the world, stemming from the Tower of Babel. In chapters Two and Seven in the Book of Daniel, both Nebuchadnezzar and Daniel receive visions from the LORD concerning what would transpire after Nebuchadnezzar’s reign in Babylon. God revealed that four world empires would arise, including Babylon, Persia, Greece and Rome. These Empires only are mentioned to the exclusion of others (such as the many Chinese Dynasties, the Mongolian Empire, Scythian Empire, etc.) because only these four directly affected the nation of Israel. 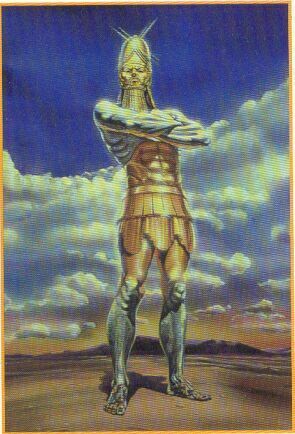 When we read about Daniel’s vision there are four beasts, but in Nebuchadnezzar’s vision we see a statue of different metals, but there are not four but five sections. The last two share the metal of iron, but the last section also contains “miry clay”. First section – GOLD: Babylonian Empire; Second section – SILVER: Medo-Persian Empire; Third Section – BRONZE: Greek Empire; Fourth Section – IRON: Roman Empire – Phase I; Fifth Section – IRON with MIRY CLAY: Roman Empire – Phase II in the End Times. This shows that while the Roman Empire endures to the end of time when Christ returns to earth, its latter stage is different in some ways than the former – its not just iron, but iron mixed with clay. One should understand that each empire was conquered by another, except for Rome; no one conquered the Roman Empire, it simply deteriorated and eventually broke apart, but is now reforming in the same area it occupied during the days of the LORD Jesus’ earthly ministry 2000 years ago (We see this in part, by the establishment of the European Union, and perhaps soon as the United States of Europe). MYSTERY – referring to the Mystery Religions and more modern day esoteric societies (such as the Theosophical Society), as established at the tower of Babel, the Ancient Knowledge. Perhaps some of the very knowledge promised to Eve by the serpent (“Knowing good and evil”)? BABYLON the GREAT – the very foundation of world empires that were spawned afterwards (Medo-Persian, Greek, Roman) and even in today’s world. MOTHER Of HARLOTS and ABOMINATIONS – Babylon was not merely a harlot, but the Mother of all harlots (and abominations). - The entire book of HOSEA addresses backslidden Israel that fell away from the LORD and addresses the Jewish nation as a “mother that has played the harlot”. But this MOTHER of HARLOTS that John sees is not Israel; rather, she appears to resemble the church of Jesus Christ, but terribly perverted and changed into a powerful religious system! This religious system is so vile and terrible, that it’s stated in Revelation 17, that she is “drunk with the blood of the saints and of the blood of the martyrs of Jesus Christ”! The entire description of this Mother of Harlots is given in Revelation chapters 17 and 18, and if you compare this description with the Roman Catholic Church, it’s an exact match! This is not to say that this ‘Mother’ is exclusively the Roman Catholic Church, but that it will probably be the leading force with all other religious systems incorporated into it. To keep these articles as concise as possible we won't get into the details here, but if you want to examine this, just watch on youtube, Dave Hunt’s A WOMAN RIDES the BEAST or better yet, read the book. This concludes this third part of this series; in the next and last part we will see connections made between the religious agenda and its counterpart, the political agenda that is aiming for globalism. We will also visit the concept of how this globalization of planet Earth will adhere together via mysticism. Until then, keep your eyes on the skies, and don't believe the lies: Jesus Christ returns from on high!